The Western Front of The Great War during the period 1916 to 1918 saw the First Australian Imperial Force (AIF) in action on the mainland of Europe in Belgium and France after their grueling initiation to battle at the Dardanelles in Turkey. Our tour takes us back into history and focuses on the Australian involvement in these battles. 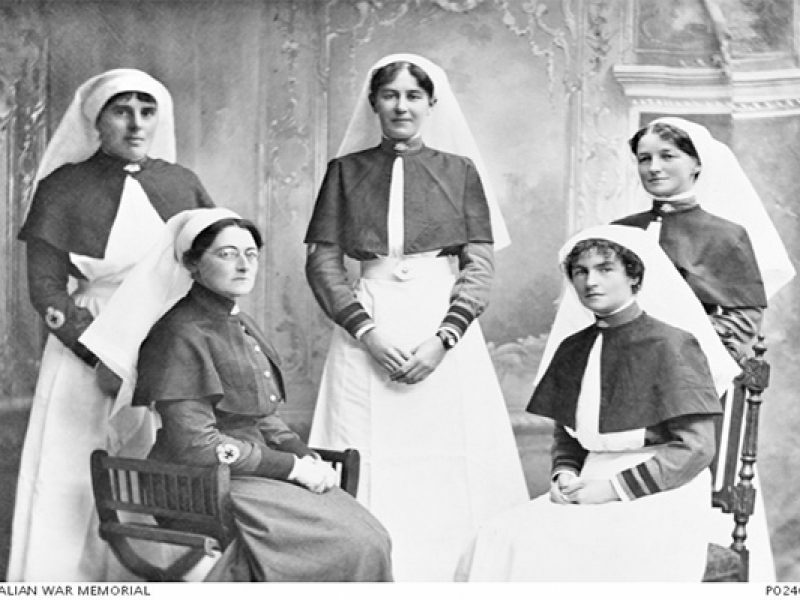 The legacy that these service personal left remains a major part of our ANZAC history. 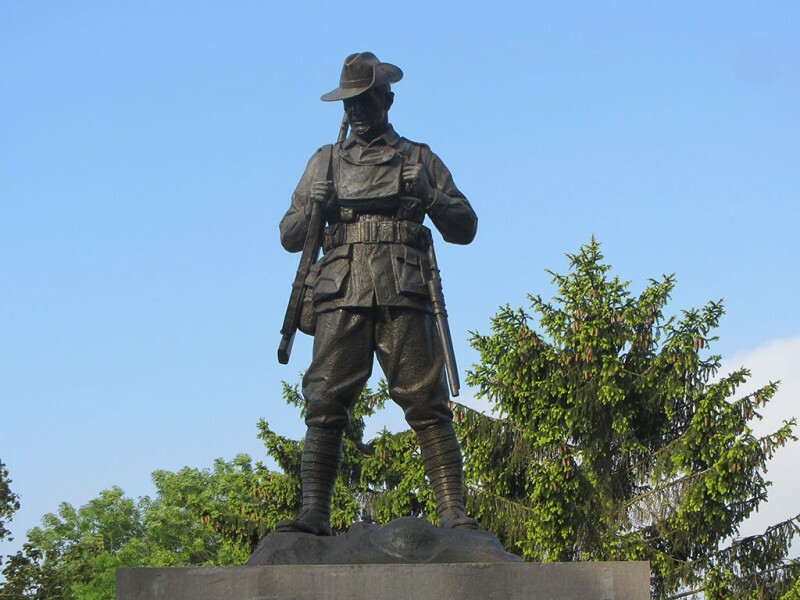 Click on our Western Front tour dates (tab at the top of the page) to see our small group set departure dates and all the information you require. The start and finish of our tour begins in Paris, France. 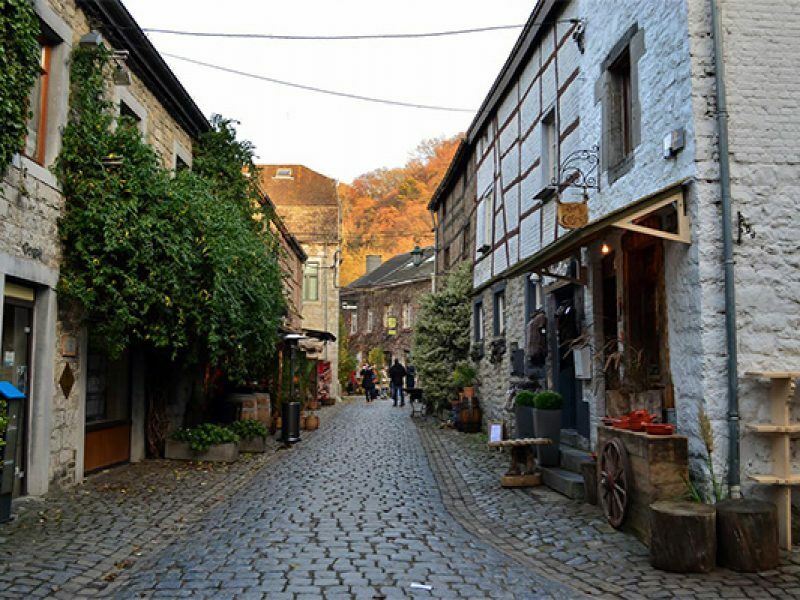 The tour has been crafted to not only explore our Great war history but enjoy the touristy activities on the regions we travel though; in addition to this there is opportunities to explore France in detail. 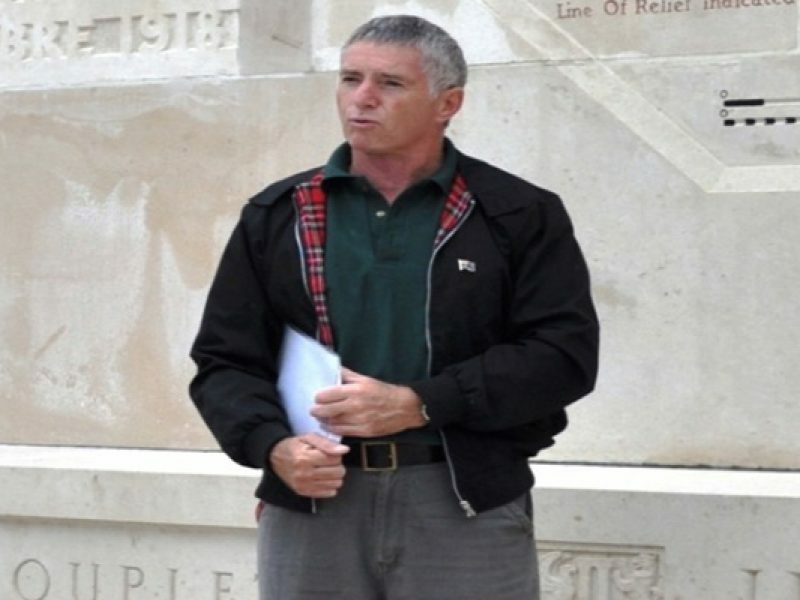 Addition services we offer from our ordinary tour information is the opportunity to share with us your personal interest in the Western Front battles, and, should that interest involve the service of a relative, family friend. If you desire inform us about the interest or significance events prior to the tour and we will do our best to accommodate your especial requirements within the programme’s limits – or provide consultative advice on how your requirements may best be achieved. 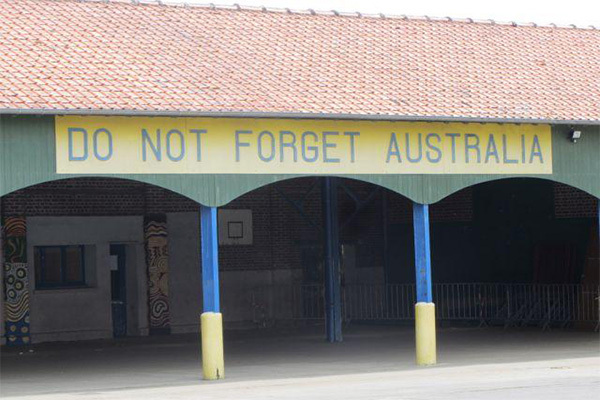 Our Western Front staff understand what this can mean as we too have family who served in the First AIF. Enquire about our private group tour’s. We can host school groups, corporate groups, family groups and mates looking to tour the Western Front. June 28th 1914 the Archduke Franz Ferdinand, heir to the throne of the Austro-Hungarian Empire, and his wife Sophie are shot dead in Sarajevo. The assassinations are the work of Serbian nationalists who want to bring the empire’s Slav territory into a greater Serbia. July 23rd 1914 Austria-Hungary’s reacts to the killings of the Archduke when it sends an ultimatum to Serbia with 48 hours to comply to its strict terms. A day later Germany declares it’s support to Austria-Hungary. By July 25th 1914 Serbia orders its troops to mobilise while Russia, bound by treaty to Serbia, arranges for soldiers to be stationed on the Austrian frontier. On July 28th Austria-Hungary declares war on Serbia. Britain warns Germany that it cannot remain neutral in a European conflict. Germany prepares for war and sends an ultimatum to Russia demanding that military preparations are stopped within 12 hours. Britain asks France and Germany to declare their support for the ongoing neutrality of Belgium – but while France agrees, Germany does not respond. By the 3rd of August Germany declares war on France. Britain than is compelled to give the order for its troops to mobilise. That same day Britain gives Austria-Hungary an ultimatum to stand down from hostilities. Germany sends a message to Belgium that it will “treat her as an enemy” if the country does not allow free passage of German troops across Belgium land to fight the French. Finally on the 4th August 1914 with Britain having failed to receive reply from Germany assuring the neutrality of Belgium, and citing a “moral obligation” to defend France and Belgium, declares war on Germany. Being a dominion of the British Empire Prime Minister Joseph Cook and Opposition Leader Andrew Fisher, who were in the midst of an election campaign, pledged full support for Britain. If Britain was at war so to was Australia. 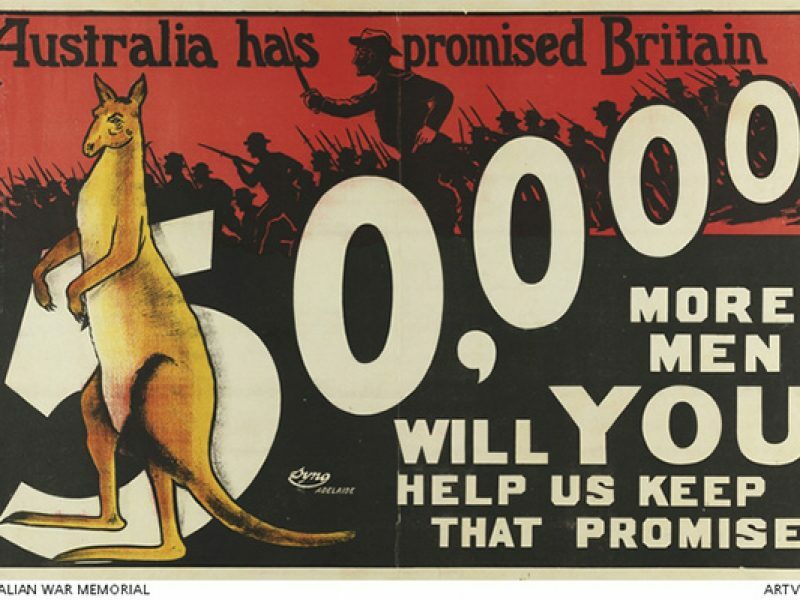 The outbreak of war was greeted in Australia with great enthusiasm with thousands rushing to volunteer in what was to become the first AIF. The period 1916 to 1918 saw the First Australian Imperial Force (AIF) involved in a bitter action on the mainland of Europe after the failed Gallipoli campaign. It was here in this theatre of battle that the result of the First World War – The Great War – was decided under conditions often beyond full description and at terrible cost to those involved on the battlefields and those at home in Australia. The Australians and New Zealanders gained worldwide recognition and esteem for their contribution to victory. That legacy remains and commands our respect as we visit the sites where on, over and under those tumultuous events unfolded. In a nation with a population of fewer than five million over 416,000 men enlisted, of whom more than 60,000 were killed and 156,000 wounded, gassed, or taken prisoner. Lest We Forget. Bus pick up, transit to Ypres. Settle in hotel, Suggest Flanders Fields Museum visit and take in the afternoon Menin Gate Ceremony. Today we have a full itinerary with many sights to cover so please ensure you are ready early and have any essential items with you for the day (this is the same for each day on the tour). Our sights visited to include Spanbroekmolen crater, Messines Church – Freckleton VC memorial including Hitler painting. Followed by the NZ Memorial – pillboxes and view of Messines attack and the Irish Tower. Neville and Frank will cover the details surrounding Prowse Point, Mud Corner, 1914 Truce plaque. Historical information on Messines and a battlefield visit to the J Carroll VC site and the 48th Bn area near Huns Walk. While at Messines, the battlefield visit includes the 12 and 13th Bde attacks. We will stop at the Bethlehem Farm East Cemetery as it has a 44th Bn connection. Lunch stop at Hooge Crater and Museum visit and Hill 60 site visit. Another day jammed packed with sight seeing and commemoration. Today we will visit Menin Road and Hellfire Corner. Our Ypres battlefield visit include Glencorse Wood, Nonne Bosschen attack and the Polygon Wood attack. Important memorials we see are the 5th Division Memorial and Zonnebeke Five. Today has a delightful lunch at Café de Dreve followed by sightseeing at Passchendaele, battlefield visit and Tyne Cot visit. Today we visit the Langemark cemetery and this is one of only four First World War German cemeteries in the Flanders region.The origins of this military cemetery began with a small group of German graves in 1915. Between 1916 and 1918 the burials at Langemark were increased by order of the German military directorate in Ghent. By the conclusion of the war it contained 10,143 German war dead. During the war the village was known by the spelling of Langemarck. Bruges visit includes free time. Bruges is the capital and largest city of the province of West Flanders in the Flemish Region of Belgium. The ‘nursery’ sector around Armentieres was sometimes referred to as a relatively quiet sector on the front and units new to the Western Front were sent there, often going into the trenches in company strength, attached to the more experienced units already there. Today a memorial lays quietly in the area. 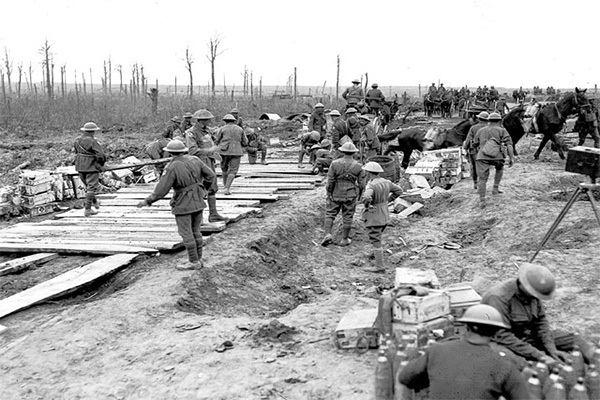 In April 1916 the 1st corps of the AIF were assigned to the British frontline in the west. The 5th Infantry Brigade was assigned to the frontline trenches of Bridoux Salient. During late April and early May the Bridoux salient was subjected to heavy enemy shelling and attacks by German infantry. 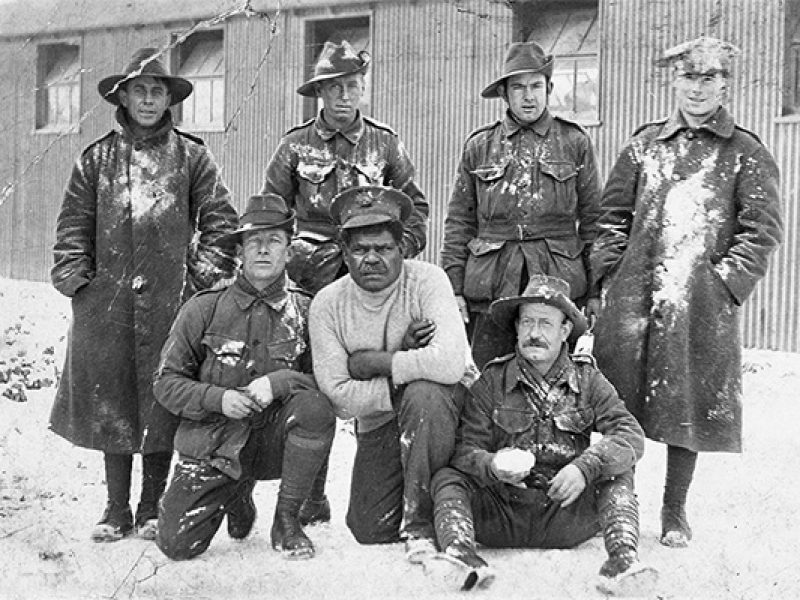 Discussions today cover the Black Anzacs and the actions they partook in the area. Fromelles, battlefield visit to Cobbers Memorial, VC Corner. Out in these fields on 11 November 1918 Charles Bean, Australia’s official historian of World War I, discovered the remains of the Australian dead of the Battle of Fromelles: ‘We found the old no-man’s-land simply full of our dead … west of the Laies river … the skulls and bones and torn uniforms were lying about everywhere’. Lunch will be at Fromelles. Pheasant Wood Cemetery contains the remains of 250 World War One Australian and British soldiers were carefully exhumed from a mass grave dug there by the Germans after the Battle of Fromelles in July 1916. The remains of these soldiers where uncovered in 2009 after an exploratory dig done in 2008. Hitler Bunker is another site we uncovered after the WW2 pictures show Hitler returning to the area in 1940. Hilter and his regiment were stationed in Vlaanderen and French-Vlaanderen. The regiment was in Fromelles most of the time. We may also include an trip to Merris or Poperinghe (should our group requirements call for this). 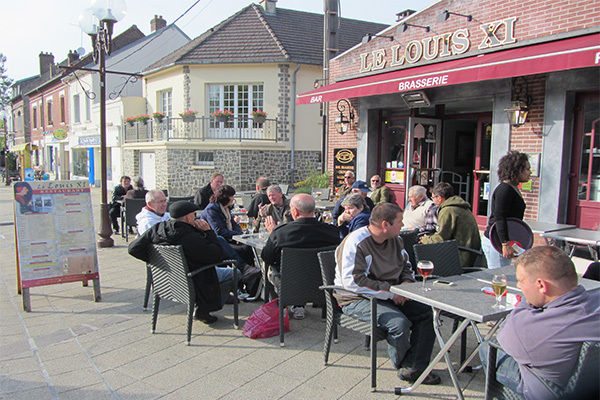 Towards the afternoon we will transit to Peronne and check in to our new hotel for the next few days. Visiting Lochnagar Crater we discover it is almost 300ft (91m) in diameter and 70ft (21m) deep. Lochnagar mine was the location the tunnelling Companies of the Royal Engineers mined tunnels in separate drivages that where strategically placed under a German field fortification known as Schwabenhöhe. Pozieres a small village in the Somme valley in France, was the scene of bitter and costly fighting for the 1st, 2nd and 4th Australian Divisions in mid 1916.We visit Pozieres Trench (battlefield visit) uncovering the 11th Bn attack. Moving along to the 1st Division Memorial is built upon the site of “K’ Trench”. This trench was captured at Pozieres. The 1st Division choose this site due to the Division lost more soldiers in the Pozieres fighting than any other action. The Windmill at Mouquet Farm was a 4 week battle that the 7th Brigade partook. The 16 Battalion was one unit that saw the beginning and completion of these actions suffered heavy losses. We move over this battlefield trying to imagine the terror this quant place bore witness to in 1916. We will commemorate the scene of O’Meara VC. After our busy morning we relax and enjoy lunch at Le Tommy’s. Thiepval Memorial is another large and amazing but somber memorial followed by a shop visit to bag a souvenir. The Battle of Delville Wood was a series of bitter engagements during 1916.The bitter cold in damp trench warfare was something we can only imagine. Both sides battled to capture small prominent towns, woods or features which offered either side tactical advantages from which to direct artillery fire or to launch further attacks. Delville Wood was one such feature, making it important to both sides. We will next visit the A.I.F. Burial Ground is 2 Kms north of the village of Flers, in the Department of the Somme. This A.I.F. Burial Ground cementry contains 1212 known burials. The Maze battlefield had been deluged with heavy rain and the attacks were made in atrocious wet conditions. The lines of attacking troops were hindered in their advance sucked down by the mud making it almost impossible to keep up with their creeping artillery barrage therefore after the barrage ceased they became easy targets for German machine-gunners and riflemen. Here we will explore the 28th Battalions role in this battle. Stormy Trench was the location of further AIF involvement and the location of the award for a VC to scene of Harry Murray. We explore this battle site in detail in the same manner as all our location assessments. Lunch will be held in Bapaume today. Following lunch we will visit Bullecourt Church, the Bullecourt battlefield of the 12th Brigade zone and the 4th Brigade zone. We also discuss the stories about Albert Jacka and the scene with the German officer. Other import sites visited today include the Australian Memorial, Noreui, Bullecourt, battlefield visit, Lagnicourt/Boursies, battlefield visit (the scene of Lt Pope VC). Worth mentioning was the work taking place back home in Australia during August 1916 the Australian comforts fund was set up mainly run by women did there very best to try and improve the soldiers life during the bitter European winter. Today we visit the Albert Museum in the Somme. 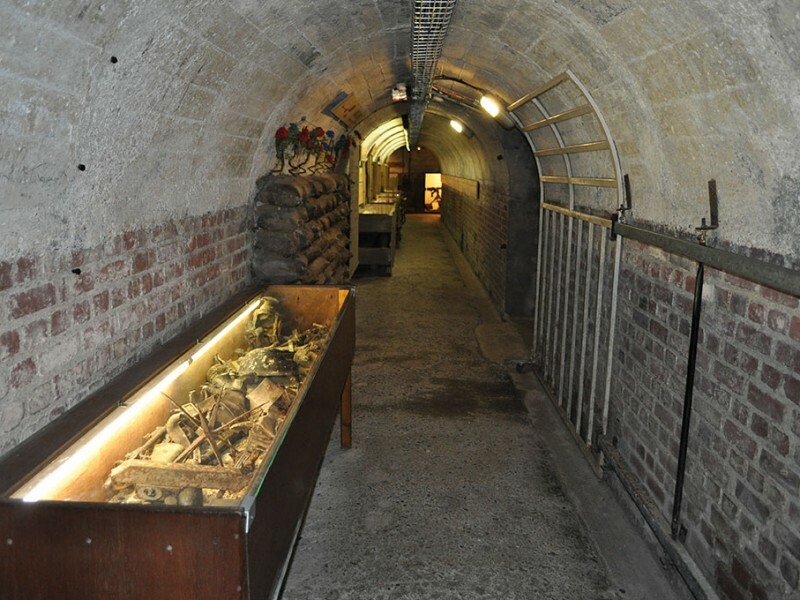 It occupies what was originally the crypt beneath the basilica, used as aircraft shelters in the world war 2. Different rooms show what life was like in the trench warfare during the world war 1. Many displays are set up with original uniforms and equipment , while the show-cases contain quantities of weaponry and other war materials recovered after the war from the surroundings fields and old trenches. The Dernancourt sector was held primarily defend by the 4th division AIF. 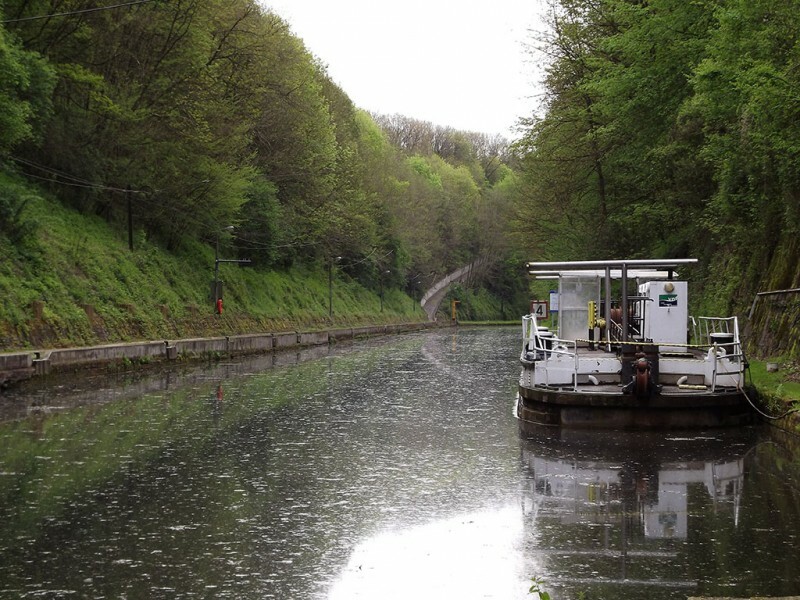 We visit this site and explore the bitter fighting that took place here with 15 divisions of Germans pushing the Australian and British troops back during April 1918 with their eyes set upon capturing Amiens. The orders came for the recapture of Villers-Bretonneux bringing with night attacks resulting in the Germans loosing ground. We explore this battlefield before moving on to Morlancourt battlefield tour, where the 2nd, 3rd and 5th Australian Divisions in turn advance towards Morlancourt. Lunch today will be at La Boisselle. After lunch we tour the 3rd Division Memorial another moving and spectacular memorial to the Australians. Manfred Albrecht Freiherr von Richthofen, also widely known as the Red Baron, was a German fighter pilot with the Imperial German Army Air Service. The Red Baron shot down and killed near Amiens on 21 April 1918. We tour this site. Sailly Laurette battlefield visit was the site where the Australians held the line against many German attacks. We follow this with detailed description of the events that took place here with Villers-Bretonneux. It goes without saying this is one of the most spectacular and saddening memorials to the war dead at Villers-Bretonneux. We visit the Australian Memorial before moving onto the Villers-Bretonneux, battlefield tour. The Adelaide Cemetery is our next stop. This cemetery in Villers-Bretonneux, built by troops from South Australia, contains an empty grave with the following inscription : “The remains of an unknown Australian soldier lay in this grave for 75 years. On November 2, 1993, they were exhumed and now rest in the tomb of the Unknown Soldier at the Australian War Memorial in Canberra”. Our day begins with the Australian memorial at Hamel, followed by Hamel battlefield visit. The recapturing of Hamel featured tanks and for one of the first time the tanks carried forward supplies to the fast moving infantry. We pause and commemorate the Site of Axford VC and Dalziell VC actions. Site of McCarthy VC action where he rush German machine gun positions and accounted for 3 machine guns, killed in excess of 20 Germans and 50 Prisoners. We also discuss the 11th Battalions Lihons advance during 1918. Once our battlefield tours are complete the afternoon is spent in Amiens with free time to yourself. Morning Ceremony at Le Hamel AIF Corps Memorial. Today we explore the 2nd Division Memorial again another reminder of the lives lost during the First World War. Towards end of August the German troops occupied at their last stronghold at Mont St Quentin. 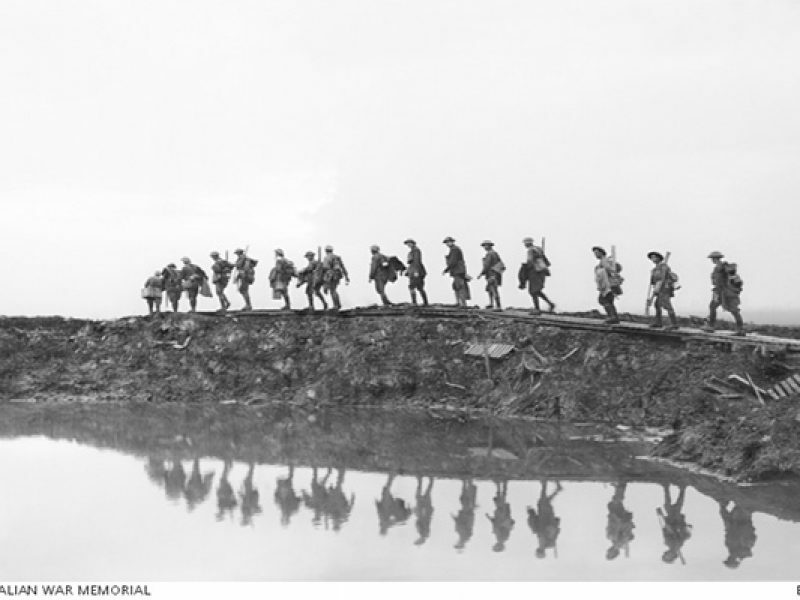 The 2nd Australian Division crossed the Somme River and attacked Mont St Quentin at 5 am on the 1st September 5 German divisions where dispersed of and Mont St Quentin captured. We tour the battlefield of Mont St Quentin. 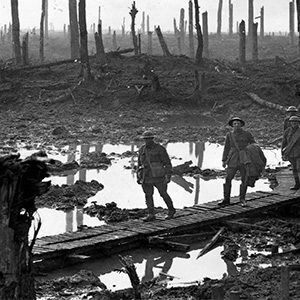 The Hindenburg Line was a formidable series of battles over the period of 1916, 1917 and after the spring offensive in 1918 as the allies turned the tide of the war. Australian troops involved in these actions are unearthed today as we explore the Hindenburg Outpost Line and the final attacks from the 11th and 16th Battalions. Next stop is Le Verguier battlefield site visit and the scene of Woods VC, followed by the 4th Division Memorial before lunch. Our last group lunch will be at Ricqueval. After lunch we visit the Somme American Memorial and the Scene of 44th Battalions last attack. Beaurevoir Line is the next battlefield visit the site of the Scene of 28th Battalions last attack. Estrees, scene of Wark VC and 32nd Battalion last action. If time permits we endeavour to visit the Maissemy German Cemetery before returning to the hotel . 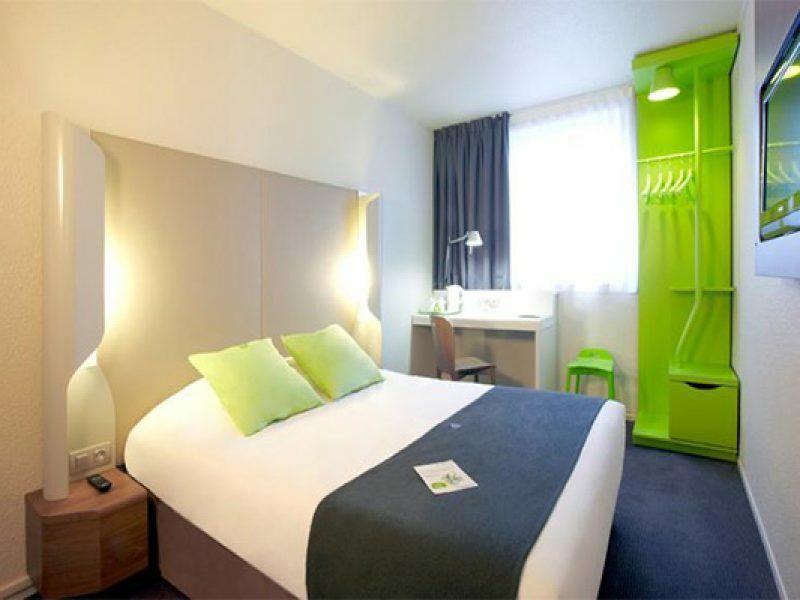 Relocate to Roissy Overnight stay. Our optional extras for our Western Front tours include single supplement for the hotel component of the tour. 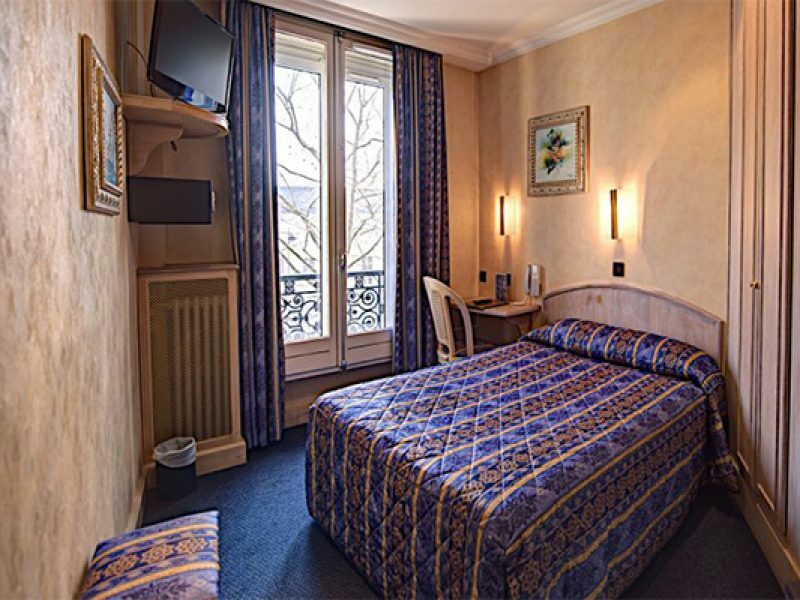 If you would like to have your own privacy in the hotel this luxury comes at a price of $799 for the entire trip. You can select this option while booking your tour or after the booking is made contact our office to arrange this optional extra. Lightweights with rainwear are required for summer and waterproof Medium- to Heavyweights clothing for winter including gloves. A sweater is necessary all year round. Comfortable walking shoes are a must, trekking boots whilst a little heavy can be comfortable to walk around in, but sporting/walking shoes are a good option to use as they are light, breathable and will dry quickly in the if they do get wet (these are our preferred choice of shoe for this tour). Please do not turn up with thongs or sandals as your only walking attire. Thongs are not that safely suited for walking about in the tour locations as not all surfaces are even (including pavements and footpaths). Walking shoes or light boots are a better option with, perhaps, robust sandals for “after tour hours” where dress standards allow. You will need very little equipment for this tour however a good small day pack to carry around loose items for each day, a small first aid kit covering basics for a small graze etc. 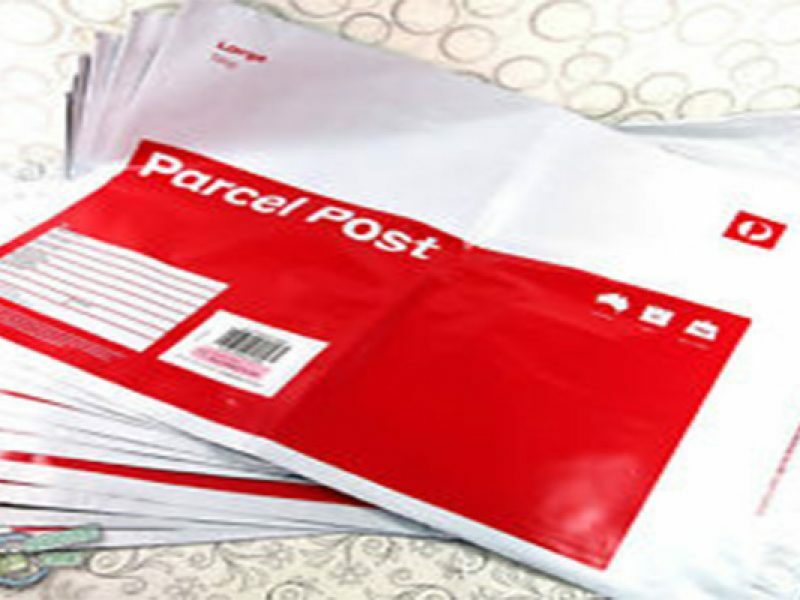 (Quality first aid kits can be obtained through us starting from a little over $20). An emergency sewing kit can come in handy from time to time and any medications prescribed by your doctor. 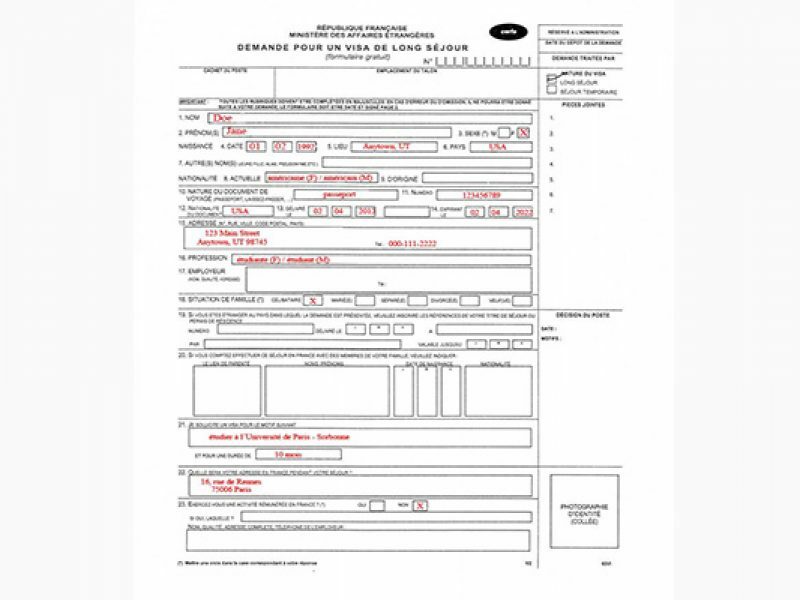 Your passport must be valid and have at least 6 months before expiry on your entry date to France. “Australians seeking to enter countries that are parties to the Schengen Convention are advised that only the country you plan to visit can provide up-to-date and accurate information about its specific visa requirements. Travellers should contact the nearest High Commission, Embassy or Consulate of the countries they plan to visit well in advance of travel. 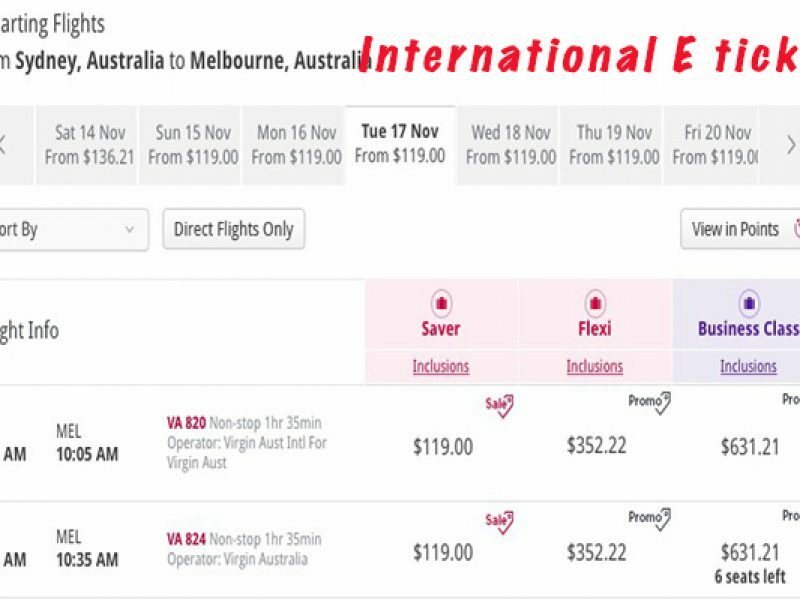 Generally, Australian tourists planning to spend less than a total of 90 days within a 180 day period in the ‘Schengen area’ do not require visas for countries which are parties to the Schengen Convention. 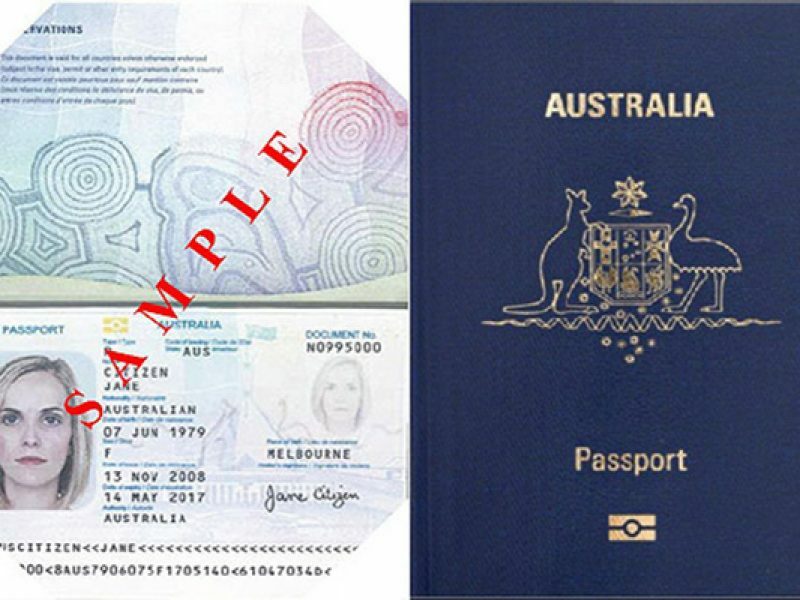 For full details on requirements for Australian passport holders for approval to enter on arrival please refer to the information provided by the Australian Government. This tour is graded 4 out 10 Easy grade (self assessed medical questionnaire required).This will be sent to you upon booking and you will be required to return the form completed and signed by your doctor 70 days prior to departure. There is some sections of the tour where you will be standing or walking for a prolonged period while visiting the historical attractions. Only a basic level of cardio is required to walk short distances over formed paths and good terrain to reach the sites and attractions. So you have decided to choose Escape Trekking Adventures to facilitate your Western Front adventure, Great choice! 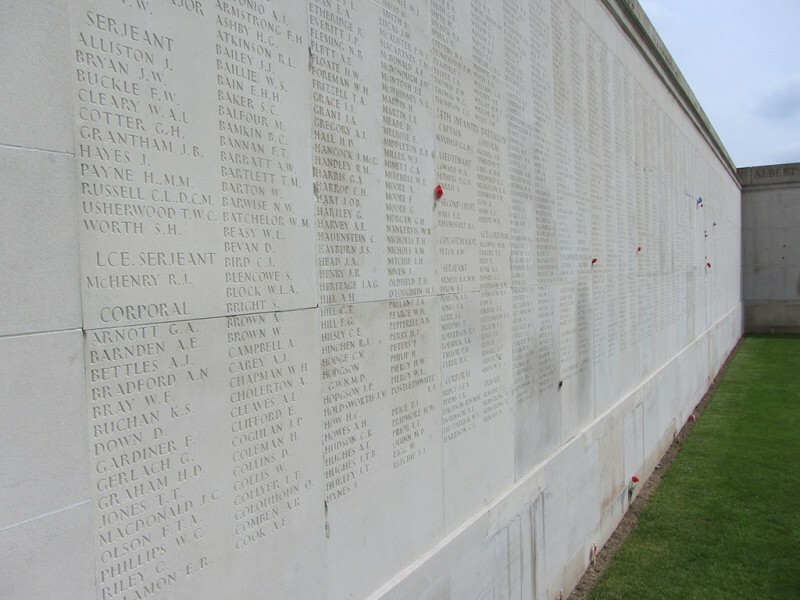 What are the processes to book, pay and complete your Western Front tour? Escape Trekking Adventures will send out our destination information packs containing destination information, forms (that are required to return to us), a medical questioner and a gear discount voucher. Apply for any visas that may be applicable for your travel. Frank Taylor and Neville Browning has been contracted to deliver this 12-day programme. 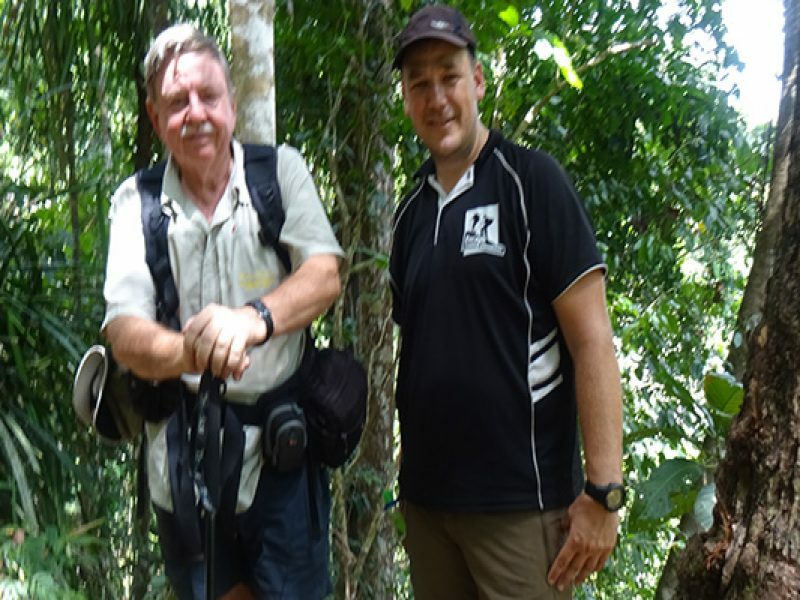 Frank is renowned for his high level of historical detail he is renowned for with his Kokoda Trail, Thai Burma and Borneo. Neville’s historical detail set out in his publications of various titles from the Western Front battles such as Fix Bayonets. 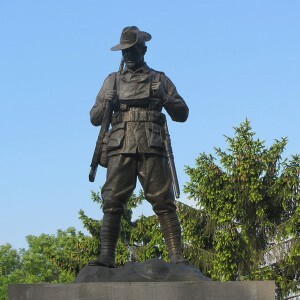 Anecdotal history of the 51st Battalion AIF, Gallipoli to Tripoli (joint author with I Gill). History of the 10th Light Horse Regiment and The Westralian Battalion. 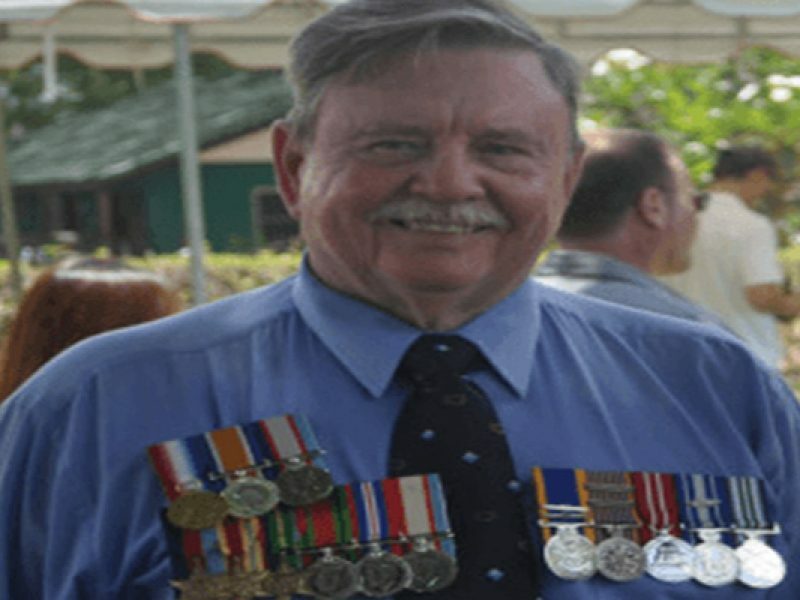 History of the 44th Battalion AIF just to name but a few of his completed published books. Working with Escape Trekking Adventures Franks Training in military tactics and the understanding of the battles and actions that took place there compliments Escape Trekking Adventures philosophy of adventure travel with highly trained guides delivering historical and culturally exciting tours. Shane, Frank & Neville’s desire to keep this important part of Australia’s history alive and fresh in Australians memories for years to come. If you are looking at touring Europe it is essential that good health and preparation with regard to your health is the first and foremost task. As with all adventure travel outside of your usual environment you will need to be prepared for the activity. Diarrhoeal illness is quite common around the Mediterranean countries and outbreaks of water-borne illness are common. Hepatitis A is becoming less common, but still represents some risk to travellers. Influenza is a problem across Europe in winter months and tick-borne disease occurs through the summer months in rural areas of central and northern Europe. Rabies does occur in several countries. Insects can transmit leishmaniasis in the dry areas of the south. 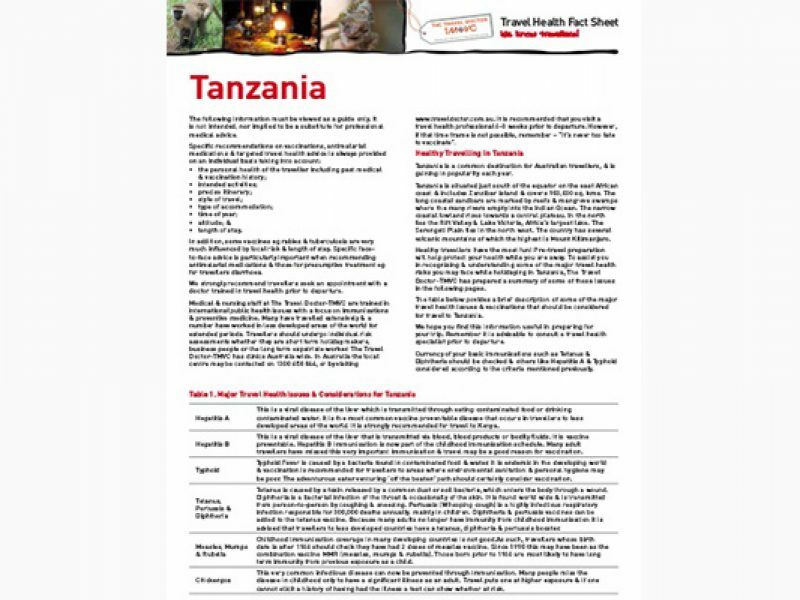 Yellow Fever vaccination may be required for all travellers arriving from or transiting through Yellow Fever infected areas such as Africa or the Americas. Childhood immunisation coverage in many developing countries is not good. 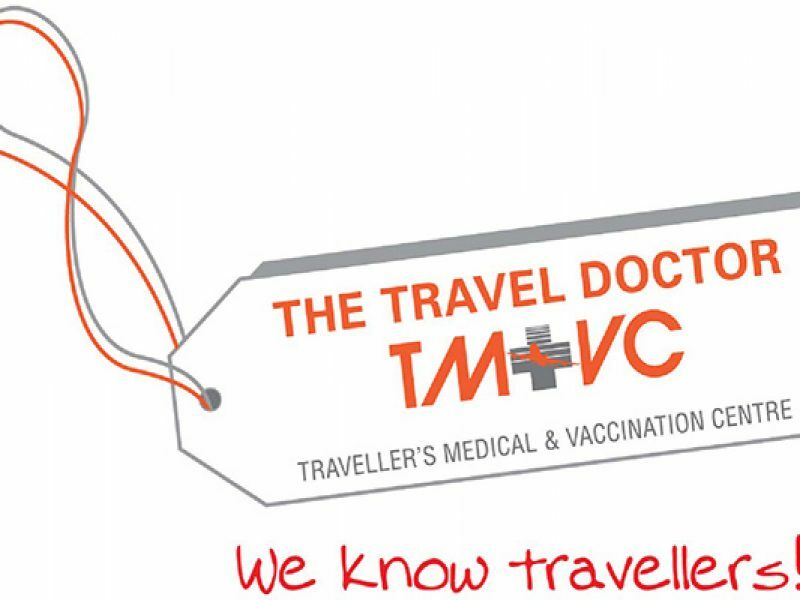 As such, travellers under the age of 40 years should have their MMR immunisation completed. Those over the age of 40 years are most likely to have long term immunity from previous exposure as a child. Meningitis is an inflammation of the membrance overlaying the brain. It can be caused by bacteria, a virus or a fungus. Bacterial meningitis is the form of most concern to travellers. It is a serious disease and can rapidly become life threatening. It is transmitted from person-to-person through close contact (i.e. droplet infection – the same way you catch a cold). Vaccination for type C meningitis might be considered for those backpacking or staying in crowded hostel style accomodation. 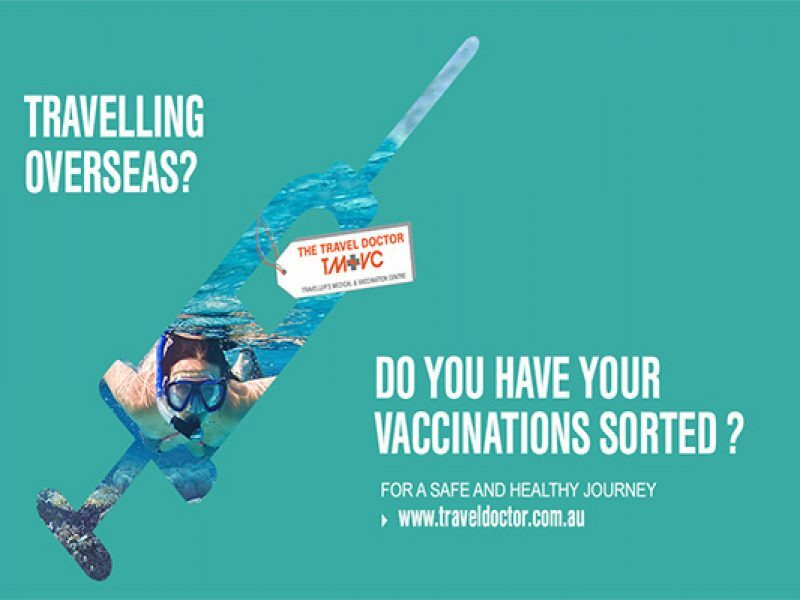 This vaccine was offered to all Australians ages less than 19 in 2003 but some young travellers may not have been vaccinated. Rabies is a deadly viral infection of the brain transmitted from animal to human. The disease is rare in travellers but the risk increases with extended travel and animal contact. The best way to prevent rabies is to avoid all contact with animals. In Europe the main carriers are wild life (including foxes and bats). Pre-exposure vaccination is recommended for extended travel and those who work with or are likely to come in contact with animals. Travellers who walk through infected areas during tick season (spring to early autumn) may warrant vaccination. Insect repellents and appropriate clothing will also provide some protection. The vaccine is not licensed in Australia, but can be obtained through the Special Access Scheme for those at high risk. Alternatively vaccination is readily available in Europe for those spending an extended period in the continent. When trekking in Remote area’s you should always be mindful of what items you may require to treat any aliments that may occur as if you are on the Kokoda trail or Kilimanjaro you will not be able to purchase any such items. Everest Base Camp treks (and Nepal lodge trekking in general) you can buy some supplies but these are mainly limited to the large Sherpa villages so it is best to carry the right things with you.